Take advantage of our convenient location just outside Grand Canyon National Park and more at this full service Grand Canyon, Arizona hotel. 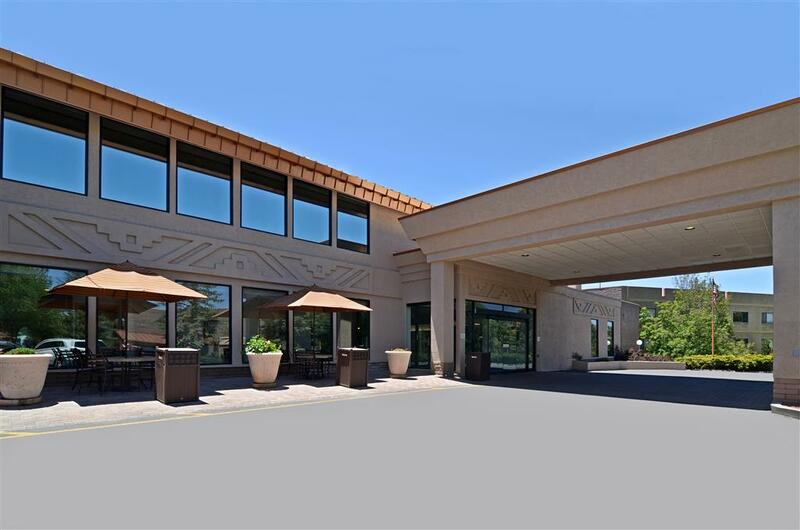 Situated only one and a half miles from the entrance to Grand Canyon National Park, the Best Western Premier Grand Canyon Squire Inn strives to provide outstanding customer service and comfortable accommodations guests deserve. Each spacious and well-appointed guest room at this Grand Canyon hotel feature 42 to 46-inch LCD televisions, microwave, refrigerator, as well as iHome docking stations. Take advantage of the hotels many amenities including indoor pool and hot tub as well as an outdoor pool and hot tub, fitness center, bowling alley and an arcade. This 100% non-smoking hotel also offers meeting facilities accommodating up to 275 guests and three on-site restaurants for guests convenience. The Grand Canyon area offers a variety of activities to suit any taste including horseback riding, river rafting down the Colorado River and snow skiing in Flagstaff. Take a jeep tour of the Grand Canyon or hike the Canyon's Rim Trail or the Bright Angel Trail inside the National Park. Guests will also enjoy visiting the Yavapai Point lookout or taking a helicopter ride above the canyon for a birds eye view. The friendly, helpful staff at the Best Western Premier Grand Canyon Squire Inn is ready to ensure a fun filled memorable stay in Grand Canyon, Arizona. Make a reservation today and save! Enjoy your stay. We are currently expanding. There will be evidence of this work during daytime hours. As a rural community, our Wi-Fi may not be the standard our guests expect in more developed locations. Coronado Room: Coronado Room, on premises, Bar/Lounge, American, Open for: dinner, 5:00 p.m. to 10:00 p.m.
Squire Pub: Squire Pub, on premises, Bar/Lounge, American, Open for: dinner, Opens 3:00 p.m.
From: The south. The Best Western Premier Grand Canyon Squire Inn is located 51 miles from Interstate 40 on Highway 64. From: The east. Turn west off Highway 89 onto Highway 64 at Cameron. Go through the national park to the south entrance. The Best Western Premier Grand Canyon Squire Inn is located 1.5 miles south of the entrance. From: The west. Head east on Interstate 40 to Highway 64. Head 51 miles north, on Highway 64 to the Best Western Premier Grand Canyon Squire Inn.